Experience fun and water with a raft. And so that the children can amuse themselves there is a large playground available. 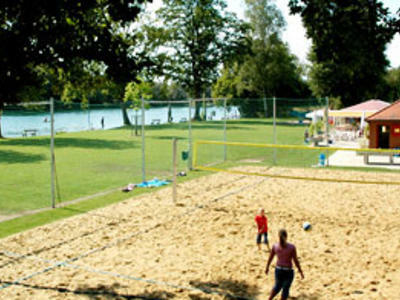 For the sportsperson there is a table tennis table and a beach volleyball court available. The kiosk sells food and drink. Mon - Sun 9 a.m. - 10 p.m.